As public health officials are gearing up for another season of the mosquito-borne Zika virus, the Trump administration’s budget proposal is here with some very bad news: the administration wants to slash the Centers for Disease Control’s budget by 17%, including cuts to programs like the National Center on Birth Defects and Developmental Disabilities essential to Zika research. With the funds initially earmarked to deal with the Zika crisis now nearly all spent, such cuts would stymy the ability of state and local authorities to prepare for inevitable new infections, or provide services to those affected by them. Among the $1.2 billion in proposed cuts, the fiscal year 2018 budget proposal includes slashing funding for the National Center on Birth Defects and Developmental Disabilities by $35.4 million, to just $100 million. This is the CDC agency that first confirmed the link between the Zika virus and major birth defects such as microcephaly last year. Now, as the first babies impacted by Zika virus are beginning to be born, the proposal drastically cuts funding to the programs that made that critical research happen. It’s not that the Trump administration doesn’t view Zika as a looming threat. The proposal spells out just how big a threat it is in its request for an increase of $12.5 million (totaling $49,459,000) for researching and responding to vector-borne diseases. The funding from that program, though, only goes to efforts to detect, control and prevent the spread of diseases like Zika that are transmitted by insects like mosquitoes or ticks. Elsewhere in the CDC budget, cuts will make it difficult to both prepare local agencies to handle future outbreaks, and provide health services to people impacted by the virus. Take birth defects. Even at last year’s funding levels, a lack of data made it difficult to figure out which cases of the birth defect microcephaly and other neurological disorders were triggered by Zika, and which might have other causes. Before Zika, few states tracked microcephaly, so the CDC doled out funding to create birth defect registries. The efforts were funded with five-year grants, but additional years of funding was dependent on future Congressional budget approval. The budget proposal notes that the CDC will still provide “technical assistance to states for Zika-related birth defect surveillance” but does not specify whether original funding levels will continue. In other words, the birth defect registry program may now be at risk. The budget proposal does note that this year, the agency would focus on analyzing and sharing results from the Zika Pregnancy Registry, a separate federally-funded tracking system that could also be impacted by budget cuts. All this is amid new reports suggesting tracking and studying birth defects associated with the virus is vital. 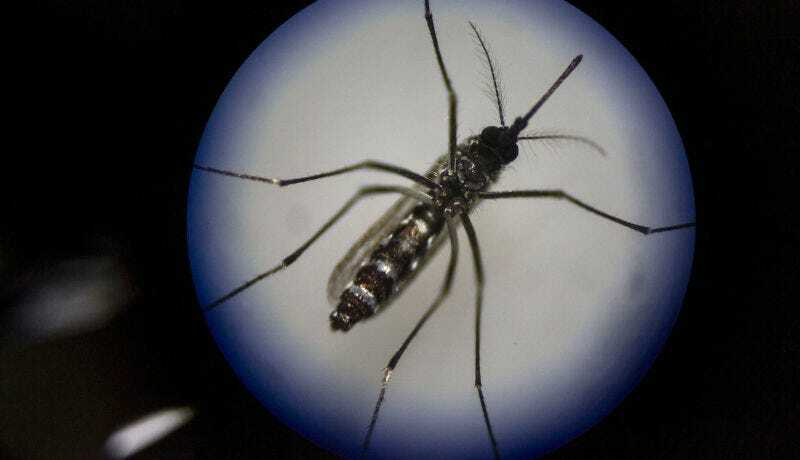 A CDC report released last month concluded that one in 10 pregnant women diagnosed with Zika gave birth to a child with serious birth defects. Another agency study found that Zika increased the chances of birth defects 20 fold. The National Center on Birth Defects and Developmental Disabilities isn’t the only department of the CDC dealing with Zika that could see budget cuts, either. The program for Emerging and Zoonotic Infectious Diseases faces cuts of $64.9 million (for a total of $514 million). The budget for Sexually Transmitted Infections, which was tasked with Zika prevention once researchers realized that the virus is sexually transmitted, is up for cuts of $27 million (total: $130 million). The part of the agency that monitors disease trends and identifies emerging threats could see $18.5 million in cuts (total: $260 million). Global Disease Detection faces $6 million in cuts (total: $50 million). And the program that helps state and local governments prepare for disease outbreaks could lose $116 million in funding (total: $551 million). All this, of course, is just the budget Trump’s administration would like to see approved. Rarely does Congress approve a president’s budget without a pretty good fight. And typically, agencies like the CDC and NIH (which is also on the chopping block) receive enthusiastic bipartisan support.